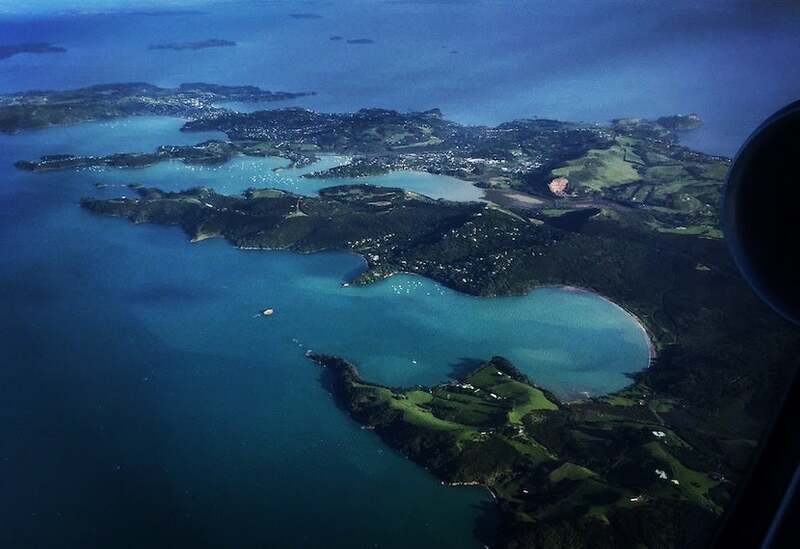 The final flight path into Auckland — how could you NOT want to visit New Zealand? The traditional high season for summer travel is over, but remember that south of the equator, they’re just heading into spring and then summer, so planning a trip now might have you arriving just in time for the year’s best weather. 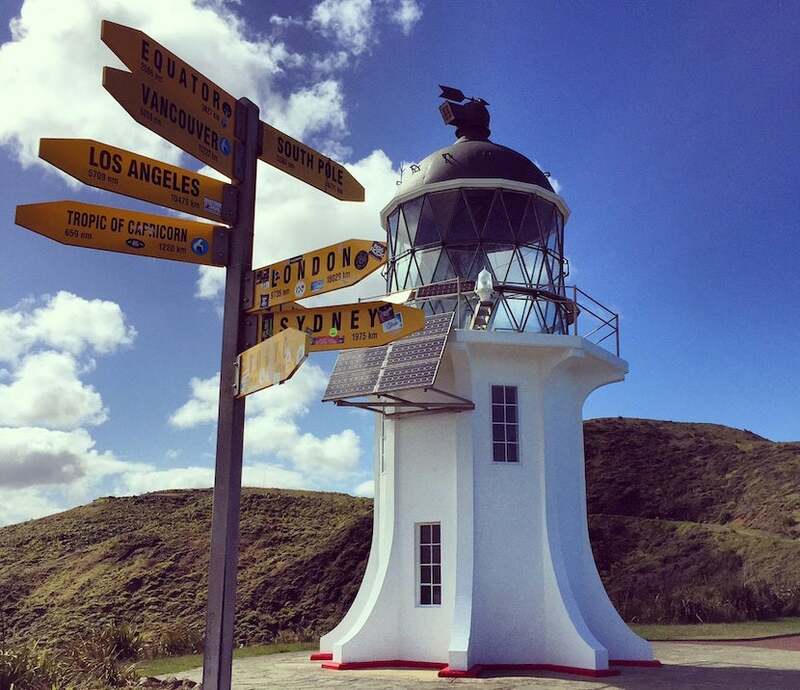 Visit the famous lighthouse at Cape Reinga, New Zealand’s northernmost point. 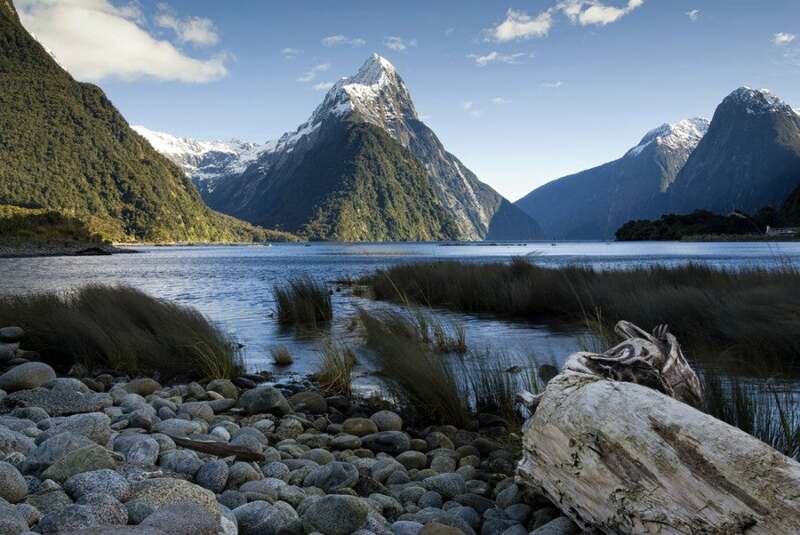 Although not the most expensive destination, New Zealand is still far from cheap. Economy airfare round-trip from the US hovers around the $1,100 mark from the West Coast and starts at around $1,500 from many other parts of the country; business class starts at about $5,000 for much of the year. Hotel rates are pretty comparable to those in the US, but when it comes to on-the-ground expenses, such as gas (if you rent a car) and food, prices can be downright astronomical because New Zealand has to import many of its goods. 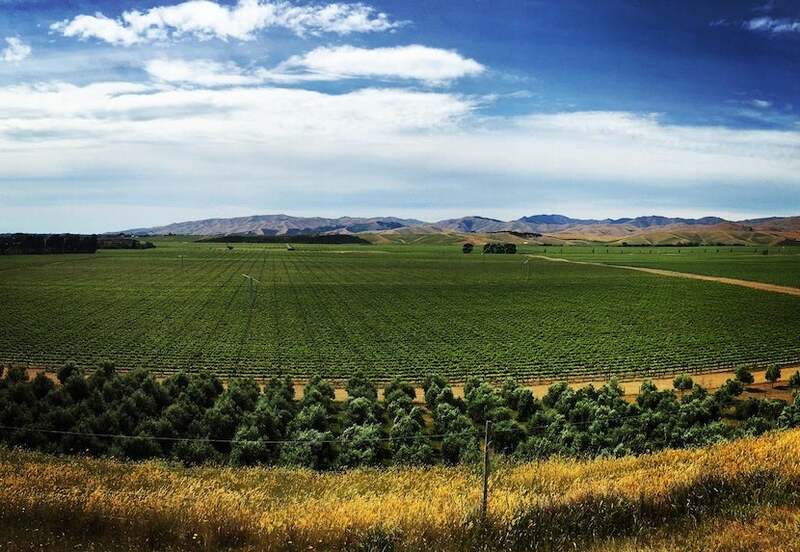 Buying all that Sauvignon Blanc in Marlborough won’t be quite as expensive now. However, thanks to the fact that the US dollar is now at a favorable rate of 1:1.58 against the New Zealand dollar, your wallet won’t feel the hit if you want to hop down to Hobbiton or make an exotic escape to the Cook Islands, where they also use the New Zealand dollar. The US dollar is doing very well against the NZ dollar, so take advantage! There aren’t a ton of ways to get to New Zealand from the US — and certainly not as many as getting to Europe or Asia — but there are a handful of good options. However, while nonstop flights from the West Coast to Auckland (the largest city in New Zealand) are only about 11-12 hours long, award flights are often routed through Australia (overshooting New Zealand by a few hours) or Asia. The one bright spot? Stuff.co.nz reports that both United and American are contemplating new Auckland routes, so hopefully we’ll see some more choices in the coming years. 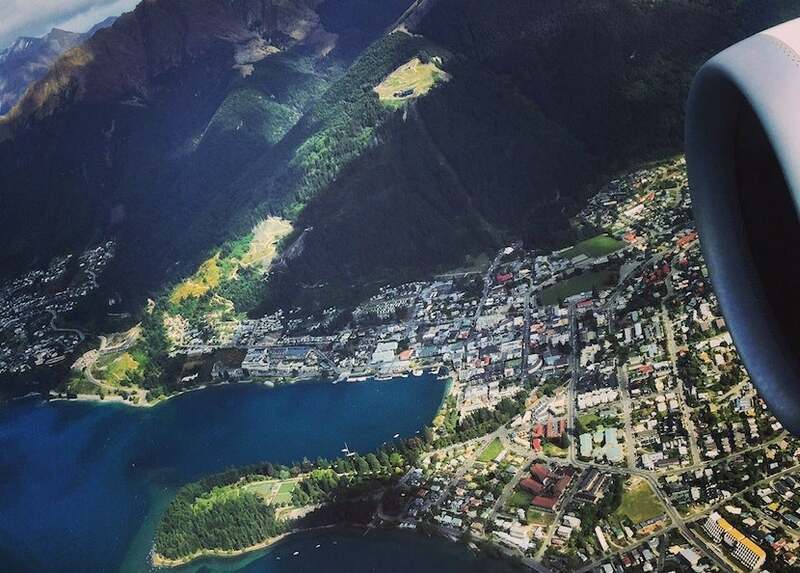 Plan a stop in Queenstown to go bungee jumping and wine tasting in Central Otago. New Zealand’s national carrier might seem like an obvious choice, and it’s a great airline, but unfortunately, ANZ isn’t the easiest to book using your miles. It does, however, fly to its hub in Auckland (AKL) from Los Angeles (LAX) twice daily, San Francisco (SFO) and Vancouver (YVR) daily and Honolulu (HNL) four times a week. The carrier is launching nonstop service from AKL to Houston (IAH) up to five times per week starting in December. 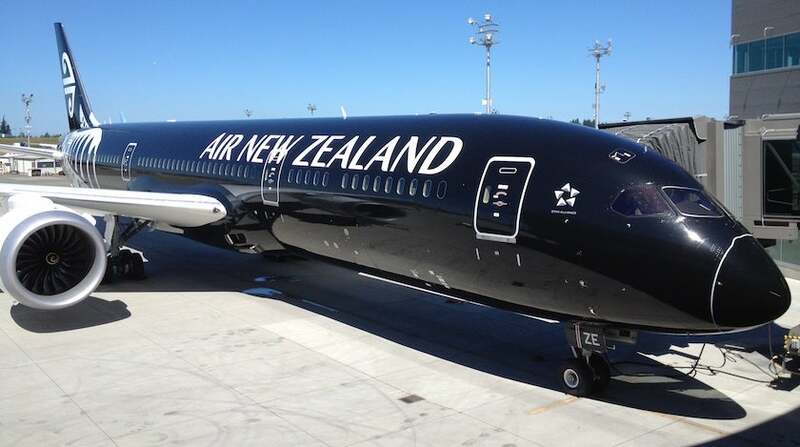 Depending on your routing, you might get to fly Air NZ’s ninja-black 787-9. Now for the bad news — and there’s a bit of it. 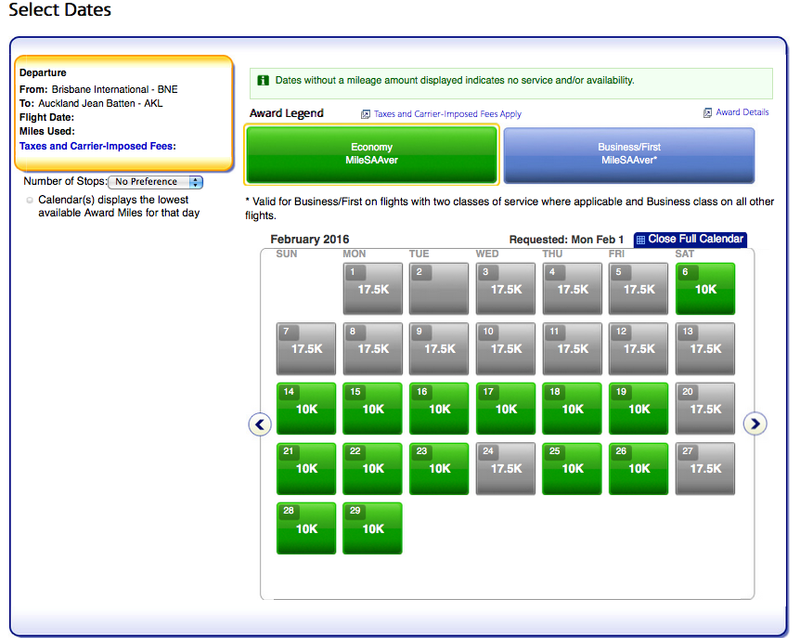 Air New Zealand doesn’t release business-class awards to partners, so you won’t be able to book a premium seat using your miles unless you have Air NZ Dollars — and a lot of them, at that. The good news is that if you plan to use United miles to fly this route, the airline will charge you the same amount of miles to route via Australia or Asia as it would to fly nonstop to AKL. I’m lumping the two Oneworld carriers together here because if you search on AA.com, you’re likely to find a combination of them to get to AKL, especially once American launches its daily flight from Los Angeles to Sydney starting December 17, 2015. 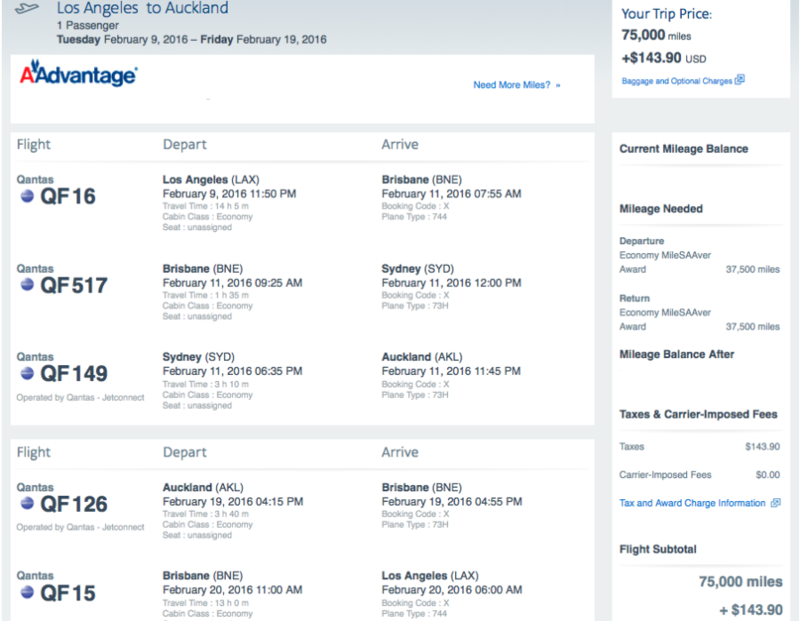 So if you don’t find an award when searching for a nonstop flight from your city to Auckland, I’d suggest piecing together an itinerary segment by segment and then calling in to book it. Delta partners with non-alliance airline Virgin Australia, but also with China-based SkyTeam members China Southern and China Eastern, so you can use your SkyMiles to fly any of them to New Zealand via Australia at the same rate of miles as a nonstop to Australia: 100,000 in economy and 160,000 in business class round-trip, though awards on Delta itself are pricing out much higher on most dates. Note the huge amounts of taxes/fees. That’s because Delta doesn’t levy surcharges on its own flights and those on Virgin Australia (which usually price out at about $55 round-trip), but it does with its Chinese partners (the ones pricing out at about $200 each way). 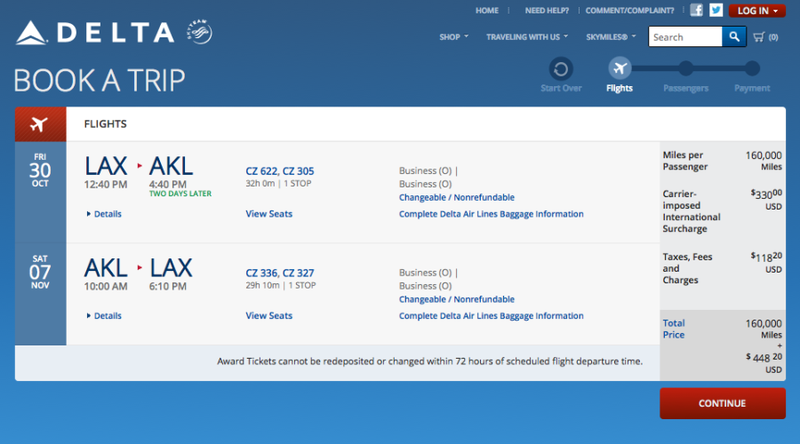 Not the best options, but still something to consider if you have Delta miles, which you can transfer from your American Express Membership Rewards or Starwood Preferred Guest accounts. 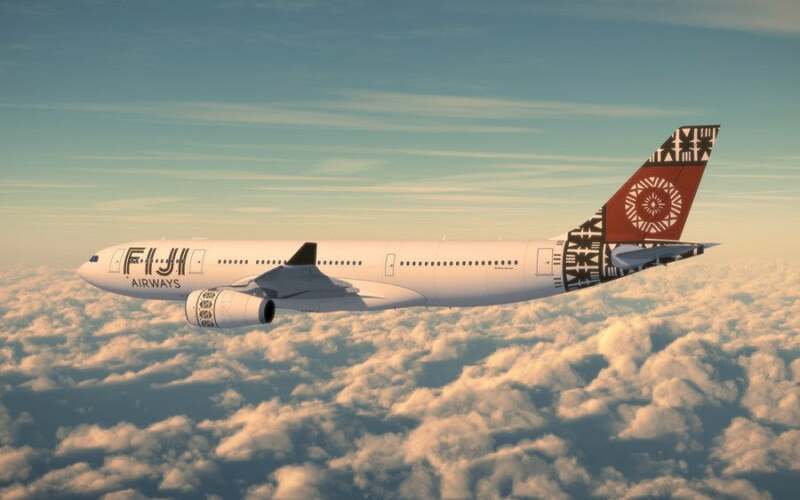 Just because it’s not in an alliance doesn’t mean you should ignore Fiji Airways. Photo courtesy of the airline. When it comes to awards, this non-alliance carrier has a couple of useful partners — namely Alaska and American. 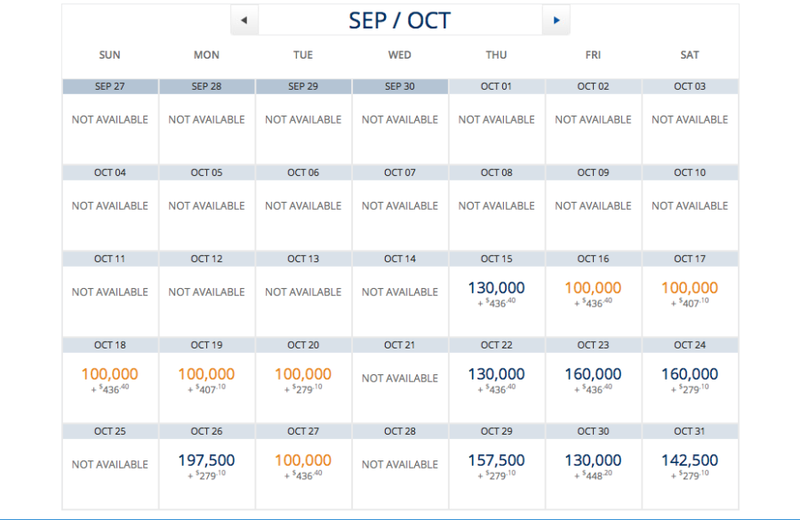 You can search Fiji Airways’ award availability and redeem your Alaska Mileage Plan miles directly on AlaskaAir.com, or search for awards on AA.com and then call American to redeem your AAdvantage miles. 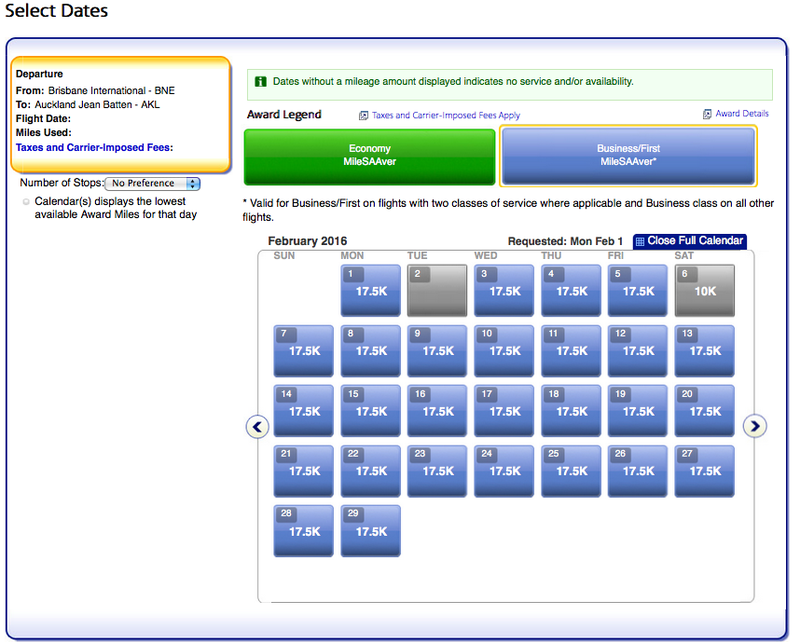 As you can see, Alaska will charge you as little as 40,000 miles each way in economy or 55,000 miles each way in business class. Alaska also allows stopovers on one-way international awards, so you can even build a little Fiji vacation into your stay! Hawaiian is always a possibility, but the mileage amounts are high. Photo courtesy of Eric Salard via Flickr. To get from the mainland US to Australia, Hawaiian will charge you 120,000 miles round-trip in economy and 210,000 in first class, so you’ll be spending many more miles this way. 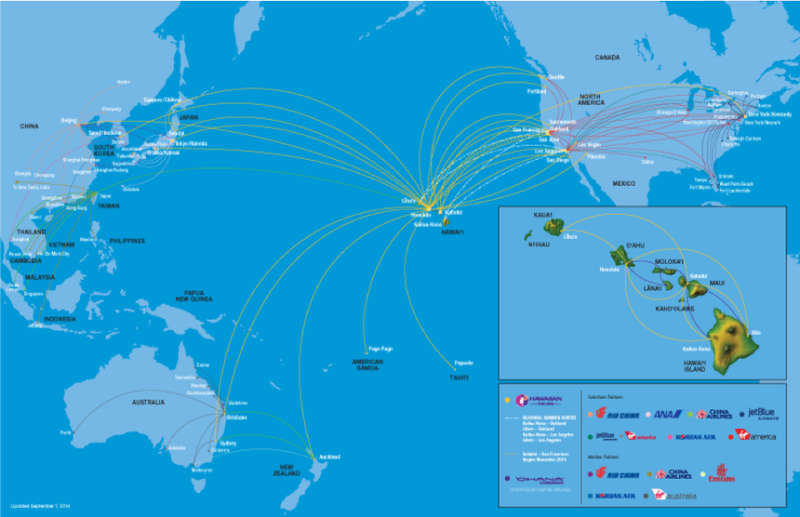 Use Hawaiian’s extensive route map to your advantage. 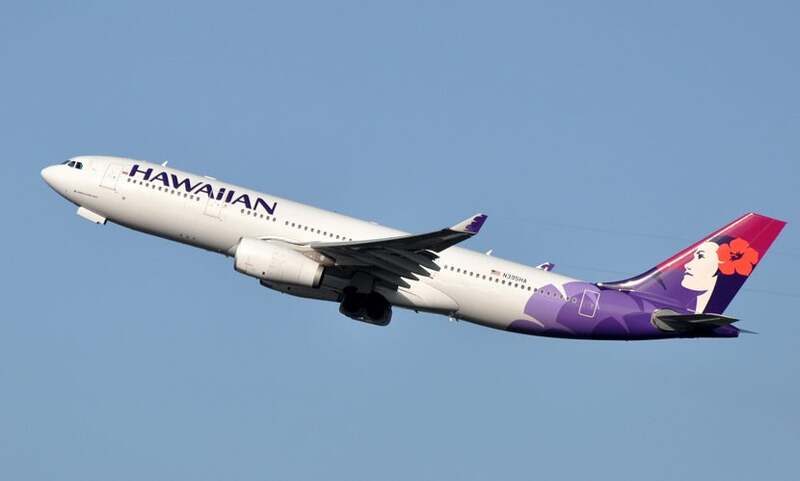 Unfortunately, Hawaiian and American limited their frequent flyer partnership as of September 1, so you can no longer use AA miles for non-intra-island flights on the airline. However, if you need to top up your Hawaiian account, remember that it’s a 1:1 transfer partner of Amex Membership Rewards and Starwood Preferred Guest. The mileage amounts are off the charts … so to speak. 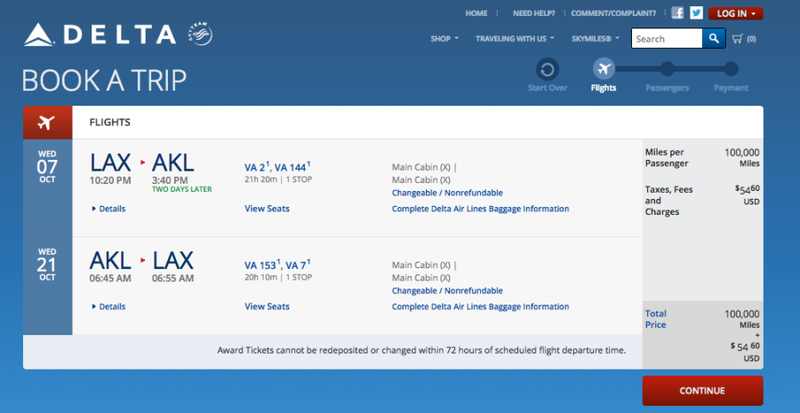 Hawaiian’s site is pretty terrible at pricing out awards from the US to AKL, so you might have to search segment by segment and then book by calling the airline. The uninhabited One Foot Island, a motu of Aitutaki in the Cook Islands. Image courtesy of Shutterstock. Set halfway between New Zealand and Hawaii and scattered across roughly 700,000 square miles of the South Pacific, the remote archipelago of the Cook Islands is little known in the US, but a popular vacation destination for Kiwis and Aussies. The Cooks are in free association with New Zealand, meaning that its citizens use New Zealand dollars but (unlike other New Zealand citizens) have the special status of Cook Island nationals. With white sand beaches, lush jungles and turquoise water full of marine life, the 15 far-flung Cook Islands feel like a more laid-back version of Hawaii — and could well be your next dream vacation spot. The Cook Islands might not be on your radar, but you can fly direct from LA. 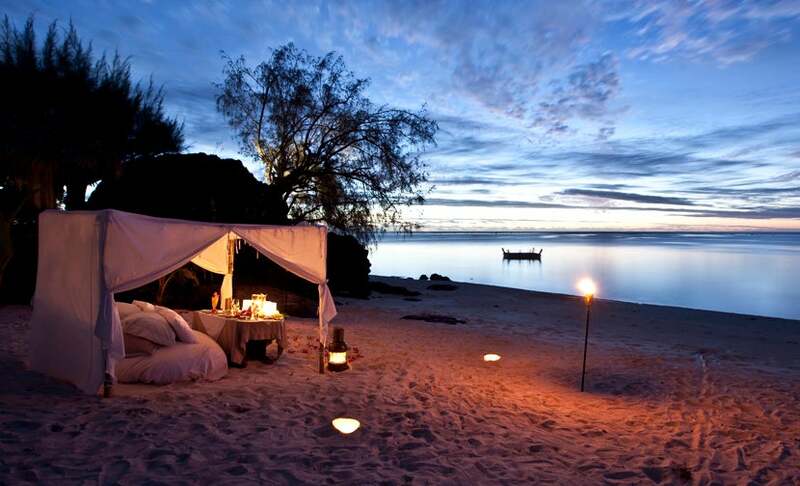 Photo courtesy of Pacific Resort Aitutaki. Air New Zealand: Every Sunday night, the carrier offers a single nonstop, roughly 10-hour flight from LAX to the islands’ hub, Rarotonga (RAR), with a return on Saturday. The mileage requirements are the same as flying to New Zealand, since both nations are grouped within the Oceania region. Air New Zealand flies nonstop LAX-RAR, but award availability is nearly non-existent. So, I don’t think you’ll be able to easily use your miles on this route, but it’s still worthwhile to call and ask. Alternatively, Air New Zealand flies to RAR from AKL, so you could opt to build a trip to the Cooks into your New Zealand itinerary with a separate award. Air Rarotonga: The Cooks’ own carrier operates in partnership with Air Tahiti Nui from Papeete (PPT) on Tuesdays and Saturdays. 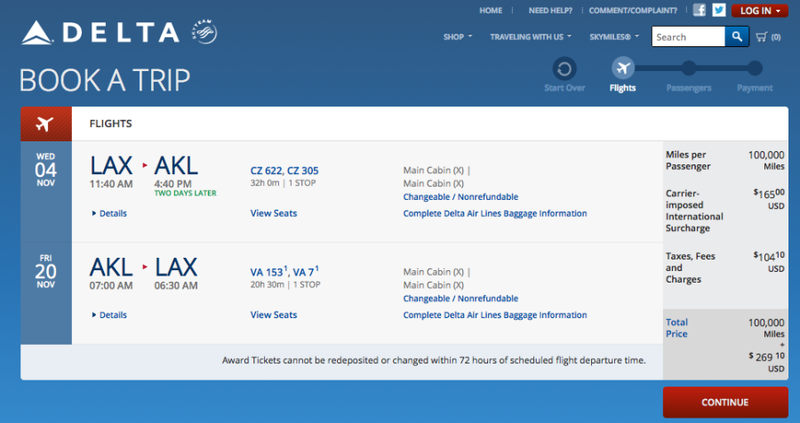 Air Tahiti Nui is a partner of American Airlines, so you could consider using your AAdvantage miles this way if you find some Air Tahiti Nui award space on ExpertFlyer. Check out this post for more information on this option. Mitre Peak in Milford Sound on the South island of New Zealand. Image courtesy of Shutterstock. What’s your favorite award-travel option for traveling to New Zealand?